On Wednesday 27 September 2017, LSE Gender PhD students organised an event titled Why feminism? An open discussion about doing gender research. During this event, PhD and MSc students from a range of disciplines engaged in a conversation framed around a series of questions: What does it mean to say we are working with gender studies? What does a gender perspective allow in research? How do we know research to be feminist, queer and/or postcolonial? What questions does that raise for our work? This series of posts presents the transcripts of the speakers’ discussion papers, ending with Billy Holzberg’s reflections on the multiple meanings of what it might mean to do gender studies. “What is your research about?” Over the last two years at LSE’s Department of Gender Studies, I have learned to finally give a two-sentence answer to that daunting question. “I work on what role affect played in the framing of and public reaction to the ‘long summer of migration’ in Germany in 2015. In other words, I examine how emotions circulate around politics of migration and asylum and try to understand what political work they do in securing as well as challenging European border regimes.” – I recite now proudly. But in contrast to Jenny, who normally gets an: “ah ok yeah that makes sense,” people usually stare at me in confusion and ask: “But what does this have to do with gender?” or “But why are you in a gender department then?” (I guess some of you might have thought the same). And at that point I am often not sure how to proceed. Firstly, because I don’t know how to engage my uncle in an in-depth conversation about the intricacies of feminist epistemology. But also, because I am not entirely sure how to do justice to the question. I hence thought I would take this discussion as an opportunity to think through this question more systematically. Why am I here at the gender department and not in sociology or political science where I did most of my academic training (and where I would potentially also be more likely to get a job afterwards)? What difference, in other words, does it make to study an issue such as the emotional dynamics of German border politics from an explicitly queer and feminist perspective? In answering these questions, I will try not to bore you by going in-depth into my project and excavate what exactly is or isn’t feminist and/or queer about it. Instead, I will try to chart four more general dimensions of the research process that could help us make sense of what it might mean to do a project in gender studies, and illustrate how these play out in my own work. The first and most classical way to think about what it means to do gender studies, is probably to think of gender as the object of research. Gender research, within this logic, is simply research on gender or gender relations. Within this understanding, however, gender is often collapsed into inequalities between men or women or often even into the position of women as such. This is the perspective that frames my uncle’s question at the family dinner– because if I don’t work on embodied sexual difference why then would I be in gender studies? This perspective, however, is also still surprisingly dominant within academia itself. Even in critical migration studies, gender panels often exclusively feature research on the experience of migrant women, just like sexuality panels focus mainly on gay and lesbian asylum seekers. As a range of feminist and queer scholars consistently point out, limiting gender or sexuality research to that of women or sexual minorities limits our understanding of the complex ways in which gender and sexuality actually manifest within the social world. In my work, gender then emerges not as an identity category but, for instance, in the way in which nation-states are framed and imagined through the analogy of the family, or in the mechanisms by which anti-Muslim racism and migratism becomes justified through painting Islam as an inherently misogynist and anti-queer religion. From this perspective, hence, gender is not so much an embodied social position but a power dynamic that infuses all spheres of social and political life. Gender research might be thought of as research that highlights these dynamics within their object of study. Which brings me to the second way of how we could think about what gender research is. Within this conceptualization gender research is research that is done through a feminist perspective. Gender here emerges less as the object of, but rather as the epistemological and methodological approach, to research. In my case, for instance, this means looking at border politics through the lens of feminist and queer affect theories. I, for instance, try to understand how states of anger, empathy or fear are mobilized in discourses of migration. Feminist and queer approaches are particularly fruitful here. Feminist theory has long been at the forefront of thinking about emotion as it has tried to deconstruct the split between (good) public rationality and (bad) private emotion that traditionally has positioned women on the bad side of that binary. Queer theorists have further long been the champions of thinking through desire, and how we can understand the pull of affective attachments if not in close interaction with the concept of desire. Queer-feminist approaches hence offer different, often marginalized epistemologies that illuminate the social world form novel angles and that necessitate more experimental methodological approaches. In my case, it has driven me out of the classical triad of social science research of interview studies, ethnography or statistical analysis and into experimenting with a range of visual, literary and archival methodologies. Approaches, in other words, that are difficult to justify within dominant paradigms of social scientific objectivity, but that promise to offer unexpected insights into the often more hidden operations of power. If gender research hence might be thought of not only as what we research at but also how we research it, where does this leave the researcher? In other words, a third way to think about what gender research is to think of gender research as research done by feminist researchers. While this conceptualization easily pulls us into an endless debate of who the proper subject of feminism or feminist research is or should be, it nevertheless points us to the importance of positionality. Research is embodied and done by living, breathing actors that are full of valuable experience as well as limited by their own partiality. What, for instance, does it mean for me to study the affective dynamics of German border politics? How might I have emotional access to particular representations in the mainstream media that are often intended for white, middle class audiences, but what do I also not see as a male queer academic that approaches the topic mainly from a scholarly perspective? Whose affective investments am I centering and whose are in danger of dropping out of the analysis all together? Gender research is research that is accountable to such questions. Research that aims to lay bare the value but also the epistemic violence inherent in our own location within the social world. If feminist research hence emerges within the triad of the object, epistemology and subject of study, what binds these together is the overarching dimension of the political, the larger vision it stands in for. Gender research is hence research that advances queer-feminist politics. Again, here we could fight about what feminist or queer politics now actually is (and whether they even coincide this easily). Whereas they might often be thought of as politics that in some way or another advance the position of women and sexual minorities, I would think of them more as a way to name and critique the technologies of power that target and position differently marked subjects unequally. This naming of power is driven by a radical politics that is not satisfied with easy, superficial fixes, but as the prefix radical suggests: goes to the root of the problem. Queer-feminist politics, to me, is thus committed to bringing a different world into being while being aware of the dangers that such a process might entail. Within my own project this approach matches with and extends critical anti-racist border activism that highlights and questions the deadly logics of current European border regimes. It longs for a world with open borders or without borders altogether without, however, losing sight of the potential pitfalls that such a utopian politics might entail. This little thought-experiment is of course unfinished and necessarily unsatisfying as – as any living concept does – both gender and research will slip out of the positions I have tried to assign them. Coming back to the question of “what does my project have to do with gender?” it nevertheless allows me to affirm: “pretty much everything.” I am not quite sure if this would be a satisfying answer for my uncle, who in the end probably just wanted to nag me a bit about this ‘gender nonsense’. But it highlights how doing a project within gender studies shapes all four intersecting elements of my research: object, subject, epistemology and politics. Being in the gender department means having the freedom to explore these four dimensions in more depth, to not constantly have to explain that gender and sexuality infuse all of social life, that feminist and queer theory constitute crucial analytics for understanding the social world, that positionality matters, and that research is inherently political. Being in a gender department, however, also means that you’ll be held accountable for these four dimensions by your colleagues, students and teachers. To be accountable for the effect your work has in the world. It is hence a challenging, a frustrating and often even infuriating practice. A practice that I nevertheless cling to with mad passion as it forms the most promising way for thinking the world otherwise. 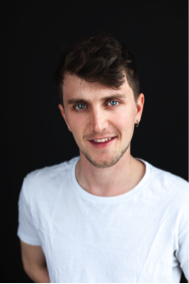 Billy Holzberg is a PhD candidate at LSE’s Department of Gender Studies and is also associated with the International Inequalities Institute. In his doctoral project he examines what role emotions play in the framing of and public reaction to the ‘long summer of migration’ in Germany in 2015. His research interests include theories of affect, queer studies, postcolonial epistemologies and critiques of political economy. Are borders ‘racist’ with a ‘deadly logic’ when they’re closed to stop people trying to flee from socialism?